Studies have shown that warehouse space is at something of a low these days, and it’s forced warehouse managers and supply chain specialists to get creative. A number of smaller sub-industries have begun to take shape and grow in the current landscape of on demand, ecommerce shipping and order fulfillment in order to help warehouses get the products they need and store them before they can be sent to customers. One of the most unique variations of this trend has been the idea of mobile or on-demand warehousing. Described by some as the “AirBnB of warehousing”, mobile warehouses allow for immediate storage of items that are better served by staying agile as opposed to being stored in a fixed location. The warehouses are ‘mobile’ in the most literal sense of the word. A lot of warehouses have begun renting dry van and trailer space to accommodate inventory spikes and sudden changes in product demand, available inventory space, and so on. You read that right—warehouses are now keeping their inventory right on the trailer without unloading it for picking at a warehouse or distribution center. 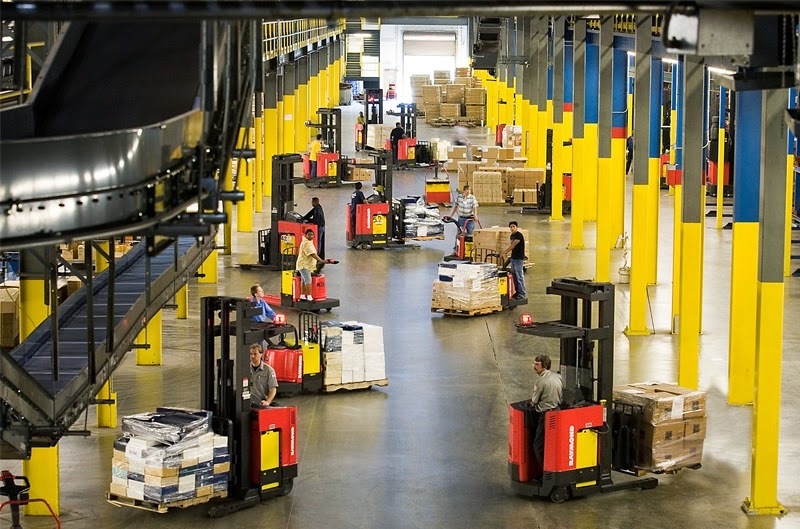 These mobile inventory centers can help fill the gap between traditional warehousing and more agile, on-demand services, and can in many cases cut down delivery time since the item is right on the truck already, not to mention the space saved on warehouse shelves due to the offsite storage of products. It isn’t a perfect solution for everyone, however—popular items that need to be sent directly to customers may be better stored on site for faster shipping turnarounds. Mobile warehousing works better for long-term storage and inventory spikes that aren’t needed until a specific time. In the event that more warehouse space is needed in a more immediate fashion, many warehouses turn to on-demand warehousing. On-demand warehousing is to warehouses what AirBnB is to houses, or maybe what Uber and Lyft are to cars. By providing a section of their warehouse for rent, warehouse managers can utilize their unused space as temporary housing for other warehouses’ inventory. Essentially, you’re paying rental for the space in another warehouse to store your products, and in some cases to handle the order processing or inbound inventory until space opens up elsewhere, or until the demand for those specific items pass (such as for seasonal goods or short-term inventory needs). If your warehouse has been feeling the space crunch lately, either of these might be good options—and even if you don’t need them now, the state of the warehousing industry means these options aren’t going anywhere.